In which G.M. Norton enjoys an old classic. A little while ago, I mentioned the delights of Talking Pictures TV, a television channel in Blighty that shows classic film fayre from yesteryear (I’m quite proud of that little rhyme). 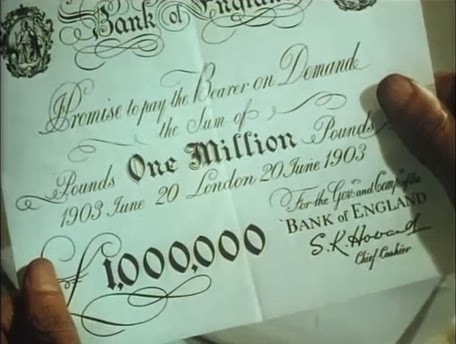 As a midweek treat, on Wednesday evening I enjoyed watching a film that I’d recorded, the early 1950's film The Million Pound Note (released as Man with a Million in the US). I have fond memories of watching this as a child (thank you, mother) so it was a treat to watch it again. 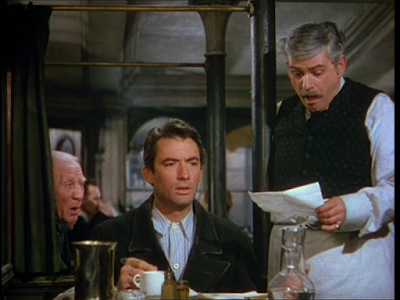 Gregory Peck is an American, who arrives in England by accident, after a spot of bother at sea. He is penniless, with only the ragged clothes on his back, but with a willingness to find gainful employment. He’s not having much luck and just as he’s about to resort to eating food that was dropped on the ground, two older gentlemen call out to him from their grand London home, seeking an audience. The two gentlemen are very wealthy brothers and there’s an obvious competitiveness between the siblings. 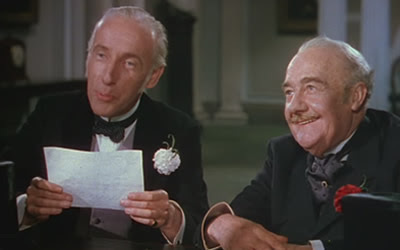 After a few questions which Peck’s character takes exception to, the brothers hand him an envelope containing a one million pound note that they had the Bank of England make especially for a bet. 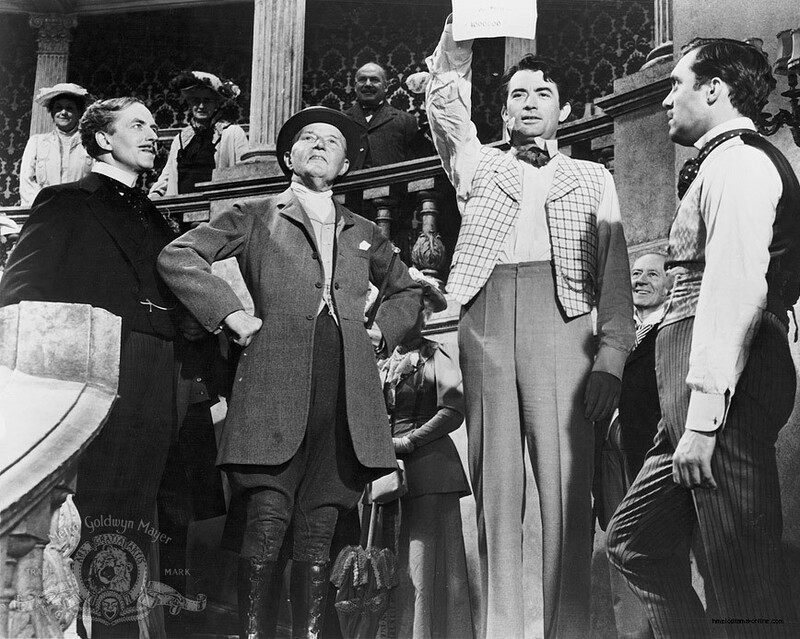 All Peck’s character knows is that it contains money, but with strict instructions not to open the envelope until 2 o’clock precisely. 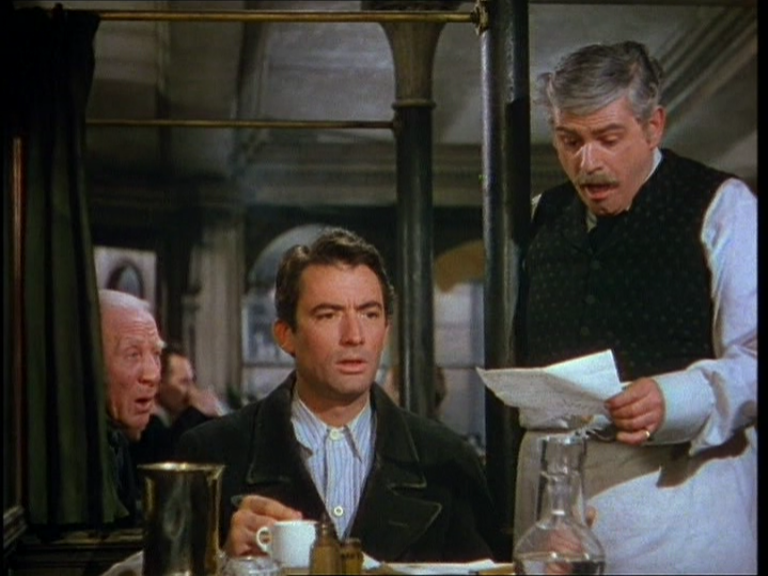 But with some time before 2 o'clock and with a very hungry appetite, he orders a plate of ham, eggs and steak, with a tankard of beer to wash it down. After finishing his meal, there’s still half an hour to go before he can open the envelope and pay for his meal so he asks for a repeat of his order. 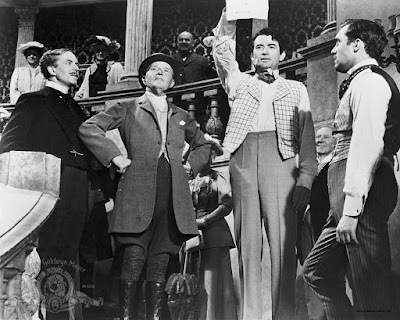 After wolfing down seconds, the restaurateurs are getting twitchy and push for Peck to pay the bill so he opens the envelope with a few minutes still to go. Of course, not many businesses are able to provide change out of a one million pound note, which everybody is astounded by, especially Peck. Along with the rather unique bank note, the envelope also contained a letter from the brothers explaining their wager, with the promise of a job if he returns the note to them one month later. Personally, I would rather have the one million pounds. The film continues as we follow Peck with a million pounds burning a hole in his pocket. 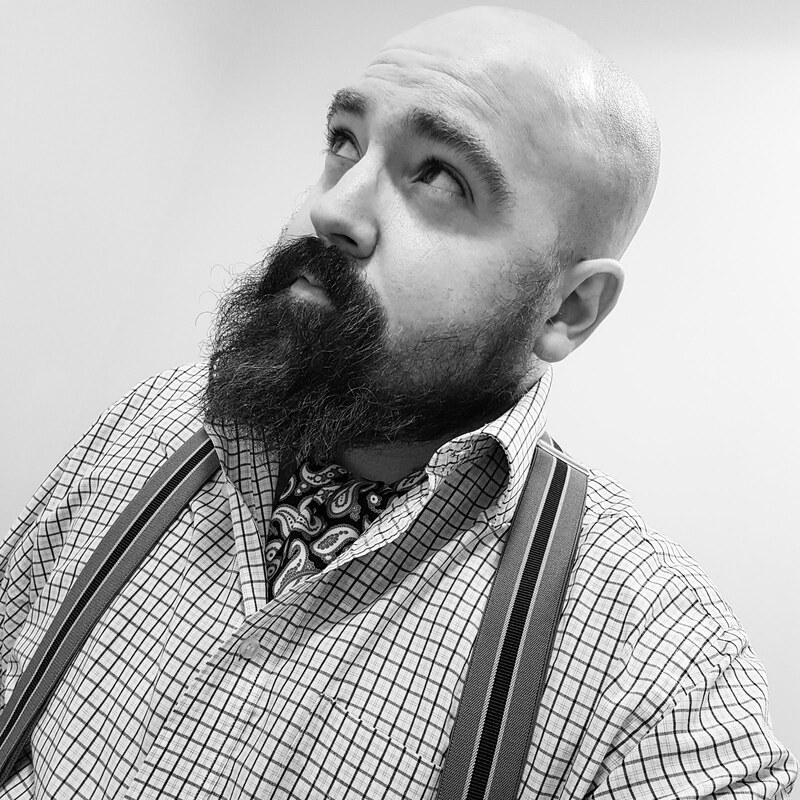 Soon he is lauded in the press as the ‘eccentric American millionaire’, before things start to go awry and Peck realises that being rich isn't all laughs and hi-jinks. The film obviously inspired 1980s film, Brewster’s Millions and the Pretty Woman song was running through my head when Peck’s character was trying to buy a suit. It’s an enormously good film, perfect fodder for a Sunday afternoon. I quite social experiments like that one Peck's character faced, and it was interesting to see how people treated somebody based on their wealth, or lack of it. I've never seen this one! I'll have to watch it, sounds like my kind of thing (and I love a bit of Gregory Peck). I adore Mr Peck too. My doctor for the first decade of my life shared his surname, but that's where the similarity ends. The film has good humour and is very British. 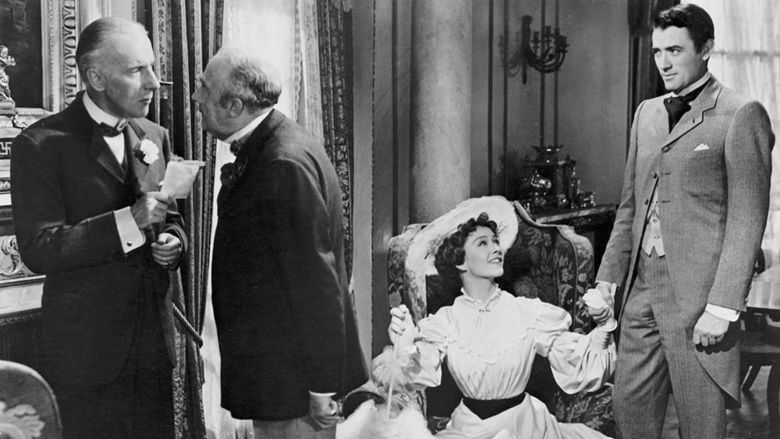 I do love British films of the 1950s.